Rent A Villa Louisa | Corporate Events | Wedding Locations, Event Spaces and Party Venues. Specializing in Events Since 1890, A Villa Louisa is the perfect setting for all occasions. Available 7 days a week, our social and corporate event venue can accommodate any party or function. At A Villa Louisa, we'll customize any package to your taste and budget! Specializing in Events Since 1890, A Villa Louisa is the perfect setting for all occasions. Available 7 days a week for corporate and social events, well customize any package to your taste and budget! Planning events can be simple and enjoyable with our in house consultant to assist you with décor, ordering invitations, menu planning, seating arrangements and more. A Villa Louisa specializes in Wedding Ceremonies and Receptions and also accommodates Rehearsal Dinners, Showers, Anniversary Parties, Birthday Parties, Bar-Bat Mitzvah, Retirement Parties, and Corporate Events, Proms and Holiday Parties. Manchester/Glastonbury/Bolton town lines, 15 minutes from downtown Hartford. You, your family and friends will luxuriate in our elegant and spacious Grand Ballroom. With high ceilings, chandeliers, and fireplaces, our Grand Ballroom is ready to entertain your wedding for as many as 300 of your family and friends. Our wedding reception venue includes a welcoming foyer, adjacent to the Grand Ballroom, complete with a waterfall fountain and a wall of windows overlooking beautiful Birch Mountain. For smaller, intimate weddings, our Sunset Room has been renovated to suit all occasions and can accommodate from 25 to 70 guests. With large windows, a wraparound bar, and a flagstone porch, it overlooks breathtaking sunsets atop scenic Birch Mountain. Our wedding ceremony venue sits atop exquisitely manicured grounds. 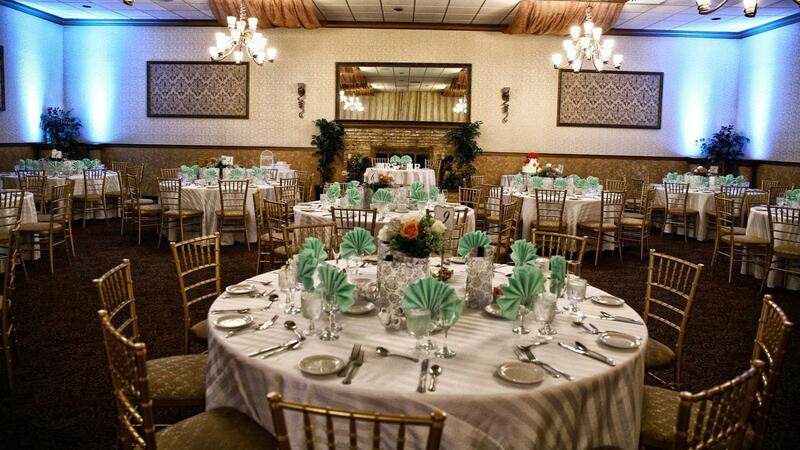 The A Villa Louisa party venue and banquet hall will bring your dream event to reality. You will create breathtaking memories on our beautiful and picturesque grounds. Exceptional service, superb menu & top quality foods will complete your special day. Your guests will marvel, for years to come, about our level of quality.